CLICK THE IMAGE TO LISTEN TO THE SHOW!!! This episode functions like the Lego Movie’s theme of “Everything is Awesome” while looking at being an Agnostic Atheist. They start the episode out by talking the phenomena that Hanna has found where Paper Airplanes are playing a new role in automation. The show moves toward a discussion on how the Bible is not only a harmful to display in schools but may also be harmful to Christians as they take their journey with their faith. They then interview Marie from Everyone’s Agnostic Podcast with her decision to join the show and her desire to help those who want to leave their faith and need stories to guide them through the journey. The show ends with Tanner and Hannas quicksaves. Click the image to listen to the show! This week has been a long week for the team. This episode comes a day late as the team is trying to catch up on work and home life. But do not fear they managed to put together a thoughtful episode this week. It begins with a discussion on the Super Bowl, The Ads, and Trump’s State of the Union Address. They continue the show with a look at the charity of the week, Camp Quest Michigan. They tell stories about their camp experiences and how it affected their lives. The show ends with a discussion about Jesus Camp, how it related to Tanner’s upbring and camp experiences, and a look into what Hanna may encounter when his children grow up and want to go to camp. The ramblefest which is this weeks podcast, takes Hanna and Tanner, the Chris Squared Dynamic Duo, spends an hour and a half catching up, relaying amazing stories, and giving you a behind the scenes look at their relationship, friendship, and love of the human race. There is not much more to the conversation other than take off your socks, kick your feet up, and relax with Cellar Door Skeptics late night show. Tanner and Hanna get a little sentimental and head back to their roots. This episode the duo scrap all topics they had for the show, and focus just on having a conversation. They talk through Tanner’s love of Christian Metal, how he grew up listening to music that Hanna can not even comprehend existed, all the while peppering the conversation with talks of Banana Republic, cologne, Mitch McConnell as a turtle, and much much more. This episode is raw and a true reflection of friends having a conversation about life, politics, and their pasts. If you want to get to know the hosts, this episode is for you. This blog post is a quick look inside Host Chris Hanna’s mind as he prepped for the debate. I thought this would be good for those who want to read what went into our side of the debate. Don’t forget to check out the episode right here! Listen to the episode right here! Evolution is not destiny, it is not fate. -Evolution is neither moral nor immoral. It just is, and we make of it what we will. I have tried to show that two things we can make of it are that it’s simple and it’s marvelous. Why is the final size of a whale indicative of problems for its growth and for evolution. Birds that work together to survive? Upright tree confirms a global flood? So it goes indeed, as you have no doubt just heard; the goalposts have already been moved, the sharp and heartless lines of science cast aside for philosophical demand for absolutes. I am not here to offer you, our dear listener, any form of salvation, guarantee, or forever quiet your questioning mind. In fact I am here to do the opposite, the depth and brevity of the theory of evolution is the culmination of human kind’s short period of genuine investigative time on this earth. From the undeniable fossil record, to the predictability of Darwin’s initial hypotheses, to the modification of evolution by gene sequencing known as neo-Darwinism, to the current Modern Evolutionary Synthesis, employing fossil transitions in palaeontology, and complex cellular mechanisms in developmental biology, and to the future in a proposed extended evolutionary synthesis, which would account for the effects of non-genetic inheritance modes, such as epigenetics, parental effects, ecological and cultural inheritance, and evolvability. Yes, for those of you who do not know, and possibly for my opponent here, the basic foundation of Jean-Baptiste Lamarckian Inheritance, also known as soft evolution, that was given mechanical validity through Charles Darwin’s Origin of Species, The Descent of Man, and other notable publications, has acted as the underlying structure for further progress of the laws and predictions made by evolution resulting in the tools used by all modern biology. In every case of small or large modification to the theory of evolution, incorrect assumptions were replaced by verifiable, testable, and repeatable experimental data; all of this growth has further cemented its validity elevating the scientific consensus to that of fact. The argument is as follows: the theory of gravity, the spherical earth, heliocentricity, the germ theory of disease, and the theory of relativity are all so empirically valid that even small changes are unlikely. Of course science is a probabilistic creature making absolutes all but impossible; still the likelihood of information calling into question the inherent truth to any of these foundational structures of modern science, including evolution, are so remote that the scientific community has in turn given its verdict, beyond a reasonable doubt, that they are true. You really don’t think the recent spate of NBA stars professing a flat earth will really change anything do you? So, let us first establish the skeleton before we attempt to populate the evolutionary creature with a functioning muscular system. The modern theory of evolution is as follows: Life on earth evolved gradually beginning with one primitive species— perhaps a self-replicating molecule—that lived more than 3.5 billion years ago; it then branched out over time, throwing off many new and diverse species; and the mechanism for most (but not all) of evolutionary change is natural selection. There are six basic tenets that make up the theory evolution, gradualism, speciation, common ancestry, natural selection, and nonselective mechanisms of evolutionary change. The first is the idea of evolution itself. This simply means that a species undergoes genetic change over time. That is, over many generations a species can evolve into something quite different, and those differences are based on changes in the DNA, which originate as mutations. The second part of evolutionary theory is the idea of gradualism. It takes many generations to produce a substantial evolutionary change, such as the evolution of birds from reptiles. The Third, that of splitting, or, more accurately, speciation. speciation simply means the evolution of different groups that can’t interbreed — that is, groups that can’t exchange genes. species don’t have to split. circumstances allow populations to evolve enough differences that they are no longer able to interbreed. The vast majority of species — more than 99 percent of them — go extinct without leaving any descendants. how that code is read and translated into proteins. The fourth, common ancestry; we can always look back in time, using either DNA sequences or fossils, and find descendants joining at their ancestors. By sequencing the DNA of various species and measuring how similar these sequences are, we can reconstruct their evolutionary relationships. This is the point where the second tier of evolution was added as mentioned earlier. The fifth part of evolutionary theory is natural selection. explains apparent design in nature by a purely materialistic process that doesn’t require creation or guidance by supernatural forces. Over time, the population will gradually become more and more suited to its environment as helpful mutations arise and spread through the population, while deleterious ones are weeded out. …It requires only that individuals of a species vary genetically in their ability to survive and reproduce in their environment. So natural selection does not yield perfection — only improvements over what came before. It produces fitter, not the fittest. The sixth processes other than natural selection can cause evolutionary change. The sequence, or the order, of the bases is what determines our life instructions. Interestingly enough, our DNA sequence is mostly similar to that of a chimpanzee. Whew, take a breath, the theory of evolution is quite vast, complex, and highly driven by experts at the very extent of human knowledge and understanding. Experts, I remind you, that while aggressively critical of each other’s work since they derive status and prestige from disproving proposed theorems and papers, are in almost uniform consensus on the validity of evolution. While we may speculate about the details, the existence of transitional fossils—and the evolution of birds from reptiles—is fact. Fossils like Archaeopteryx and its later relatives show a mixture of birdlike and early reptilian traits, and they occur at the right time in the fossil record. Scientists predicted that birds evolved from theropod dinosaurs, and, sure enough, we find theropod dinosaurs with feathers. We see a progression in time from early theropods having thin, filamentous body coverings to later ones with distinct feathers, probably adept gliders. What we see in bird evolution is the refashioning of old features (forelimbs with fingers and thin filaments on the skin) into new ones (fingerless wings and feathers)—just as evolutionary theory predicts. Australopithecus afarensis, or Lucy, is a personal favorite of mine, dating back 3.2 million years. She was between twenty and thirty years old, three and a half feet tall, weighing a scant sixty pounds, and possibly afflicted with arthritis. But most important, she walked on two legs. In a bipedally walking primate like ourselves, the femurs angle in toward each other from the hips so that the center of gravity stays in one place while walking, allowing an efficient fore-and-aft bipedal stride. In knucklewalking apes, the femurs are slightly splayed out, making them bowlegged. When they try to walk upright, they waddle awkwardly. If the femurs angle toward the middle, it’s bipedal. And Lucy’s angle in—at almost the same angle as that of modern humans. She walked upright. Her pelvis too resembles that of modern humans far more than that of modern chimps. Her head was distinctly ape like with a torso that appears a mixture of the two, and with a lower section that is almost identical to modern humans. the human plica semilunaris which is like the nictitating membrane, or third eyelid, of other animals, and much more. Now explain Atavisms, or the recurrence of ancestral traits in some not all like vestigial traits. human embryonic processes where human embryos move through almost identical phases of mimicry of a fish embryo then amphibian, reptile, mammal, primate, and finally human? Some whales have wholly developed legs projecting from their vestigial hips, and horses often have two extra toes mimicking their fossilized ancestors? Dont forget Lanugo, its the full coat of hair that covers a human fetus’ body and is usually shed but sometimes mommy and daddy get a hairy baby. Please explain the difference between Micro and Macro evolution and why one is possible but not the other. What about Ring Species? The Greenish Warbler of northern India migrated northeast and northwest around mountains that acted as a geographic barrier, the two northern forms viridanus and plumbeitarsus are highly distinct genetically, when the two expanding fronts met in central Siberia, they were different enough that they do not interbreed. How does the polyploid species form in the first place? We needn’t go into the messy details here except to say that it involves the formation of a hybrid between the two parental species followed by a series of steps in which those hybrids produce rare pollen or eggs carrying double sets of chromosomes (these are called unreduced gametes). Fusion of these gametes produces a polyploid individual in only two generations. And all of these steps have been documented in both the greenhouse and in nature. Because of this, you might have thought that such speciation would be very rare indeed. But it isn’t. Given that a single plant can produce millions of eggs and pollen grains, an improbable event eventually becomes probable. Noah’s evolution party consisted of of 1,877,920 species or 3,755,840 individual animals on the ark, we need only six more pairs of each species of bird to make it come out to seven pairs. That brings our count up to a grand total of 3,858,920 animals aboard the ark—two of each species, except birds which number fourteen each. This equates to 187 new species a year for the conservative estimate of 10,000 year old earth and 313 if the earth is only 6,000 years old. Where are all these species and how did they get to their current locations of equilibrium now? Do vaccines and medicine work? Vaccinations and Medicine resistance are major issues for the future of humankind, why are some no longer as effective as they used to be? Another prime example of selection is resistance to penicillin. When it was introduced in the early 1940s, penicillin was a miracle drug against Staphylococcus aureus (“staph”). In 1941, the drug could wipe out every strain of staph in the world. Now, seventy years later, more than 95 percent of staph strains are resistant to penicillin. After mutations made Staph stronger the drug industry came up with a new antibiotic, methicillin, but even that is now becoming useless due to newer mutations. In both cases, scientists have identified the precise changes in the bacterial DNA that conferred drug resistance. Viruses, the smallest form of evolvable life, have also evolved resistance to antiviral drugs, most notably AZT (azidothymidine), designed to prevent the HIV virus from replicating in an infected body. Streptococcus, for example, causes “strep throat, ” a common infection in children. These bacteria have failed to evolve even the slightest resistance to penicillin, which remains the treatment of choice. unlike the influenza virus, polio and measles viruses have not evolved resistance to the vaccines that have now been used for over fifty years. The modern theory of evolution is as follows: Life on earth evolved gradually beginning with one primitive species— perhaps a self-replicating molecule—that lived more than 3.5 billion years ago; it then branched out over time, throwing off many new and diverse species; and the mechanism for most (but not all) of evolutionary change is natural selection. In an exhausted conclusion I defer to you dear listener, to the evidence given tonight and included in the links of my notes available immediately after this live show is concluded, to the simplicity of evolution compared to the alarmist fears that scientific materialism will invade our humanity like the hollywood robot revolution perversions of logic against the unpredictable emotional human obsolescence. Evolution is simply a theory about the process and patterns of life’s diversification, not a grand philosophical scheme about the meaning of life. it can’t tell us what to do, or how we should behave, or what we should believe in.. And this is the big problem for many believers, who want to find in the story of our origins a reason for our existence, and a sense of how to behave. If you can’t think of an observation that could disprove a theory, that theory simply isn’t scientific and this is a major failing for ID and Creationism in general as the presuppositions simply assert infallible ultimatums from the onset. While the heart of “materialism” or “naturalism” suggests that, evolution is true. And, any transcendent or metaphysical explanation that imposes itself upon the scientific and natural world are de facto discounted as irrelevant and absurd. However, conversely, transcendence and metaphysics are thus free from the imposition of scientific inquiry and invalidation. Hence my allusions to the segregation from belief and evolution including its acceptance throughout the progressive segment of the theistic population. Evolution is neither moral nor immoral. It just is, and we make of it what we will. I have tried to show that two things we can make of it are that it’s simple and it’s marvelous. But there is something even more wondrous. We are the one creature to whom natural selection has bequeathed a brain complex enough to comprehend the laws that govern the universe. And we should be proud that we are the only species that has figured out how we came to be. #83: Is There Sufficient Evidence For The Existence of God? On this episode Christopher Tanner will be facing off against John Moseman in a live debate. Christopher will be taking the Positive and John will be taking the negative. Christopher will set out to demonstrate that the evidence for the Christian God is lacking and should not constitute a belief in that specific deity. Below is the format to be used and we will hold a live open question and answer session with both Christopher and John after the debate event. If politics has you worn out, this show is for you. This week Cellar Door Skeptics takes a break from politics to talk about a revitalized campaign called #NormalAtheism and their mission to make Atheism as normal as religion is. Then the boys tackle a new scientific development about RNA and the building blocks of life. The show will end with an in depth segment on Moses, the Passover, and how much Biblical Justice compares to other societal justice at the same time period. 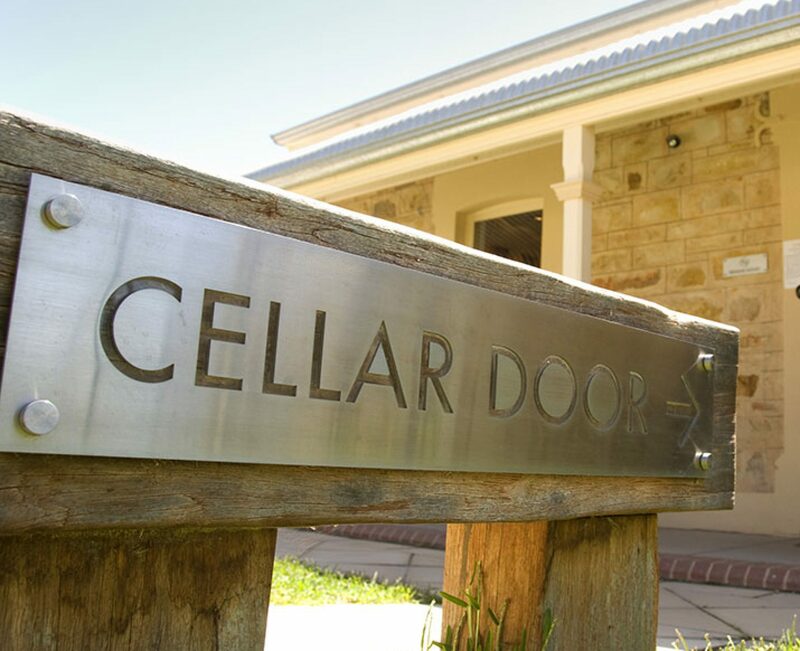 Cellar Door Skeptics #76: Will Being Poor Shorten Your Life? Cellar Door Skeptics is back in another heavy hitting episode ready to rock the socks off your mind. The duo starts by tackling an peer reviewed study on Life Expectancy compared to the income that you make. The article examines if there is any correlations and offers up perspective on how to solve this problem. Later they look at the media and if mainstream media is ONLY calling out minority religions whenever a publicized shooting happens. Also in that segment they will cover a local lawsuit that is going against Tanner’s son’s high school and district. The show closes on a refreshing note with an interview with Author Marissa McCool about her new book False Start. the state or condition of being equal, especially regarding status or pay. ***All the information has come from the International Women’s Day website. I have consolidated it for the purpose of my notes on the podcast. Chris Hanna and Myself felt that it would be a benefit to everyone to have all the links in one place along with the flow. Please check out the links below and listen to our podcast here. International Women’s Day (March 8) is a global day celebrating the social, economic, cultural and political achievements of women. The day also marks a call to action for accelerating gender parity. International Women’s Day (IWD) has been observed since in the early 1900’s – a time of great expansion and turbulence in the industrialized world that saw booming population growth and the rise of radical ideologies. International Women’s Day is a collective day of global celebration and a call for gender parity. No one government, NGO, charity, corporation, academic institution, women’s network or media hub is solely responsible for International Women’s Day. Many organizations declare an annual IWD theme that supports their specific agenda or cause, and some of these are adopted more widely with relevance than others. Challenge conscious and unconscious bias. Value women and men’s contributions equally. Organizations should recognize that lines between career and personal lives are becoming more fluid. They should create progressive policies like flexible working that allow everyone – regardless of age, gender, rank or geography – to manage their personal and professional lives and realize their ambitions.